I know, Muskoka isn’t that far away. It’s really just three hours north of my home in Toronto, Ontario! But have you ever really explored Muskoka? I go all the time but when I head up to Muskoka, it’s usually for a calm weekend of tanning on the dock with my friends and family. Last summer, I decided to explore Muskoka. After everything I discovered – I can’t wait to do it again this summer! Here are my highlights of places I discovered this summer! The provincial park, just outside Huntsville, is host to some of the coolest outdoor acitivites. In the winter, they have a skate track complete with a bonfire that loops through the beautiful wilderness.In the summer, they have miles and miles of magical hiking trails. The idea to stop by BoatWerks came by when I was having a bit of an adrenaline rush. My brother and I decided we wanted to do something exciting, and tubing just wasn’t cutting it! So we called up BoatWerks, a white-water kayak school in Minden, Ontario. The next day we drove down, put on a wetsuit, and hopped in the river! It wasn’t as scary as you’d think – there were little boys doing lapped around my kayak! The instructor was awesome – I felt super safe in his well-trained care and I was doing flips in my kayak in no time! The cottage doesn’t have to be just about junk food anymore. The Farmer’s Daughter brings together some of the tastiest purveyors of food from across the country. Local cheeses, hand made hot foods, and freshly picked veggies are in stock here, as well as prepared foods to fool your family into thinking you made them yourself! Are you a golfer? Then one of the most jaw-dropping courses in the world is right in your backyard! Although the Bigwin Island Golf Club is a private club, you can book your own tee time by just picking up the phone. 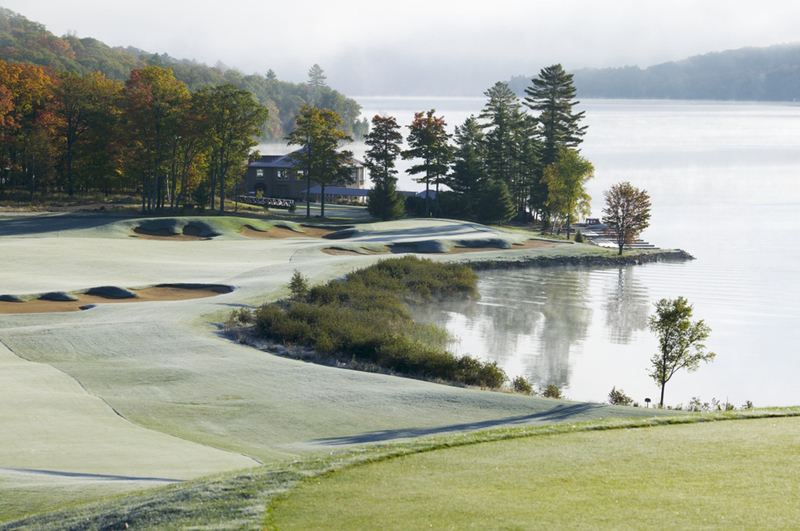 Located on an island in Lake of Bays (that’s right, it’s only accessible by boat), the course is surrounded by blue waters and evergreen trees. Don’t believe me? Just check out these photos! 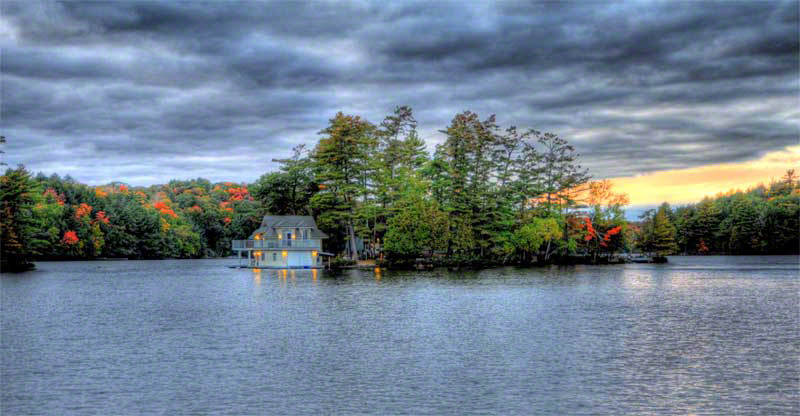 Hey Buddy!, I found this information for you: "#TravelTuesday – Muskoka". Here is the website link: http://shesinfluential.com/2016/05/02/traveltuesday-muskoka/. Thank you.